Jaya Ekadashi/Jaya Ekadasi also known by the names of Bhishma Ekadashi and Bhoumi Ekadasi is observed during the Shukla Paksha period in the month of February. Jaya Ekadashi 2018 date is January 28. Jaya Ekadashi importance can be found in the Bhavisyotara Purana and Padma Purana where Lord Krishna has told this to Yudhishtira. The day of Ekadashi is always dedicated to Lord Vishnu and comes on the 11th day of waning as well as waxing phase of moon in Hindu calendar. Rules for Jaya Ekadashi are the same as for the ekadasi fasting days. Both of them visited Lord Indra and bowed down. It was a surprise for Lord Indra and when he came to know about Vishnu's blessings, Indra also bowed down to both of them. Lord Indra said, that he himself would bow down to any person who fast on this day of Jaya Ekadashi as the both of them did. So, the rewards for oberving the Jaya Ekadasi or Bhishma Ekadashi/ Bheeshma Ekadashi fast with full dedication and devotion are far superior than performing various donations, yagnas and any visits to pilgrimages (tirthyatra). Fasting on Jaya Ekadashi is believed to get rid of any remorse or grief attached to your sins committed and help in cleansing our souls and achieving salvation (Moksha) after death. 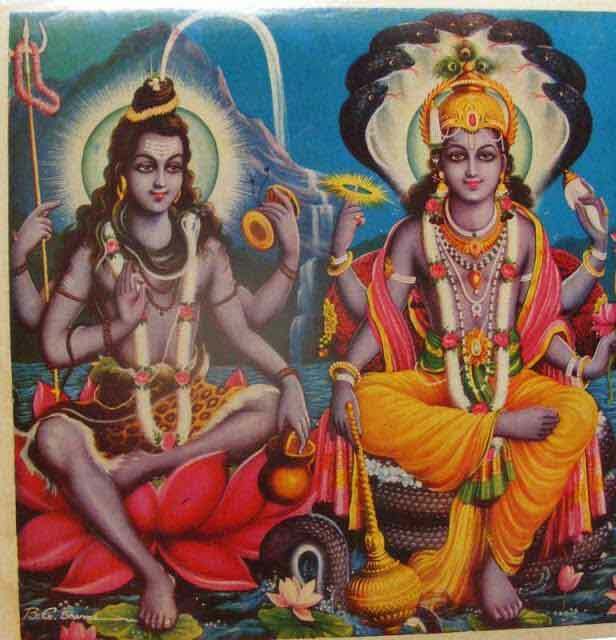 Generally Ekadashi day is associated with worshipping Lord Vishnu, but as this Jaya Ekadashi falls in the month of Magh and magh month is dedicated to Lord Shiva, so if you worship the two supreme Lords - Lord Vishnu and Lord Shiva, it is considered of high importance on the day of Jaya Ekadashi. If any ekadashi falls on a Thursday, it is considered highly auspicious and this time, Jaya Ekadasi 2018 is falling on Saturday. Lord Sri Krishna said, “I shall tell you about Jaya Ekadashi. This Ekadashi obliterates all kinds of sinful reactions and demoniac influences that may be affecting the spirit soul. It is known as Jaya Ekadashi, and the fortunate soul who observes a fast on this sacred day is relieved of the great burden of ghostly existence. Thus there is no better Ekadashi than this, for it truly bestows freedom from birth and death. It is to be honored very carefully and diligently. Therefore one should strictly observe a fast on the sacred day of Lord Hari, especially on this Jaya Ekadashi. A great soul who observes this fast with full faith and devotion has in effect given all kinds of charity, performed all kinds of sacrifice, and bathed in all the Holy places of pilgrimage. Jaya Ekadashi is known in regions of Orissa as Bhoumi Ekadashi. In Lord Jagannath Temple in Puri, Orissa, and all Jagannath Temples worldwide, this Bhoumi Ekadasi is of high importance. Jaya Ekadasi is known by the names of Bhisma Ekadashi, or Bheesma Ekadasi, in South India, especially in Andhra Pradesh and Karnataka. The significance of Jaya Ekadashi or Bhishma Ekadasi is also because of the fact that Vishnu Sahasranama Stothram (one thousand names of Lord Vishnu) was told by Bhisma while he was laid on the bed of arrows to the Pandavas on this day of Jaya Ekadasi in front of Lord Krishna, and thus the name of Bhishma Ekadashi. And he went to heaven on this day of Jaya Ekadashi. This time of the Magh month (Feburary month) has various important days dedicated to Bhishma namely Bhishma Ashtami, Bhisma Dwadasi and Bhishma Ekadasi. It is understood that Bhishma Pitamah chose this Magh month this particular time to leave his body, as he was given the boon of "ichha mritu" or self-chosen death. It is also believed that if you listen to the 1000 names of Lord Vishnu or Vishnu Sahasranama Stothram leads oneself to Moksha. How to observe Jaya Ekadashi Fast? 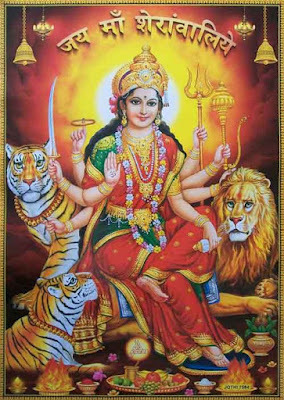 Then worship and offer prayers to Shiva and Vishnu. Avoid taking any grains, cereals, vegetables, breads. Eating rice and non-vegetarian food is a strict no. Recite and chant the Shiva and Vishnu mantra's and aarti's. It is mentioned in the "Shastra's" not to sleep during the night of Ekadashi and worship Lord Vishnu the whole night. Each Ekadshi vrat starts from the ‘dashami’ tithi (10th day) and it is often said not to eat the last meal (dinner) on the day before ekadashi. Each Ekadashi fast gets completed after the sunrise of ‘dwadashi’ tithi (12th day). Do not apply oil on the body on the day of ekadashi. Ekadashi Tithi starts at 11:14 on 27th January 2018 and ends at 8:27 on 28th January 2018. On 28th January, 2018, the Parana time (time of breaking ekadashi fast on dwadashi tithi) is from 13:37 to 15:45 AM. Jaya Ekadashi 2019 Date & Time will be updated soon. Next Ekadashi Day is Vijaya Ekadashi on 11th February 2018.